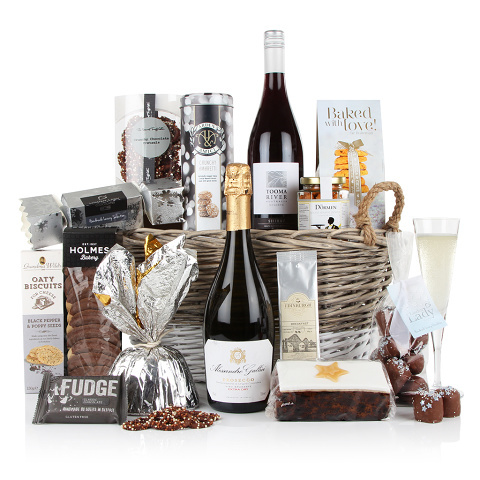 This stunning hamper is sure to impress those lucky enough to receive it this Christmas. The gift which has a sleek silver and grey colour theme is full of only the finest artisan products such Linden Lady handmade chocolate covered marshmallows, The Dormen spiced sesame peanuts plus much more and not to mention the very quaffable Alessandro Gallici prosecco. A beautiful gift to treat family and friends, or colleagues and customers this Christmas.